This Monday Their Majesties the King and Queen of Spain, don Felipe and doña Letizia, headed a meeting of the National Committee for the celebration of the Bicentenary of the Museo Nacional del Prado. During the course of this meeting the special programme of activities devised to celebrate the principal moments in the Museum’s history was approved. The events within this programme will aim to promote a reflection on the Museum’s past and present as well as looking ahead to its future through specific initiatives, among them the new architectural project for the Hall of Realms designed by Norman Foster, which will complete the so-called “Prado Campus”. 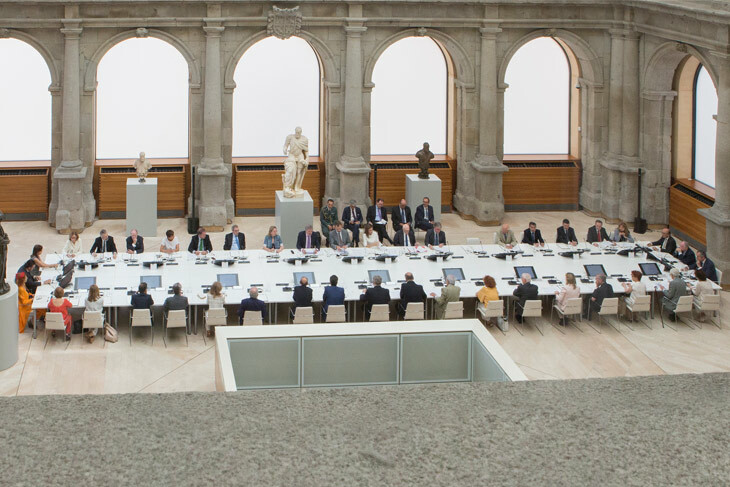 Following the approval of the special programme to mark the Bicentenary of the Museo del Prado during a meeting of the National Committee, the Museum’s governing body, the events within this programme have been announced. The events scheduled for the coming months, namely the inauguration of the Ionic Gallery displaying classical sculpture, the new installation of the Dauphin’s Treasure in the north wing, and the opening of the new 17th-century Dutch and Flemish galleries on the second floor of the north wing, means that by the start date for the launch of the Bicentenary celebrations, 19 November 2018, the entire Villanueva building will be devoted to the display of works of art. With regard to the permanent collection, the Bicentenary will be marked by events that focus on the changes that have taken place at the Museum over the past 200 years, as well as a special focus on works that have entered its collection since its foundation. 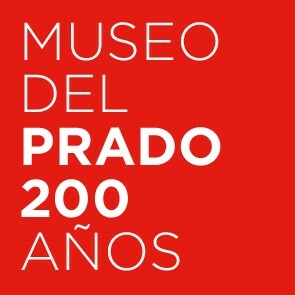 In addition, the exhibition Prado 200 will analyse the construction and evolution of the Museum in the 19th and 20th centuries. In parallel with the habitual temporary exhibition programme scheduled for 2019, which includes exhibitions on artists such as Velázquez, Rembrandt, Goya, Fra Angelico, Sofonisba Anguissola, Lavinia Fontana, and Peter Brueghel the Elder, the Museo del Prado will be presenting a special exhibition entitled Circa 1819. It will include approximately 75 paintings created in the decades immediately prior to and following the foundation of the Museum and will be displayed in Rooms A and B of the Jerónimos Building. Ephemera is another exhibition devised to mark the Bicentenary, this time located on the Museum’s website. It will trace the image that the Prado has aimed to project of itself over the years through ephemeral objects produced since its creation to the present day. The celebration of the Bicentenary offers an exceptional opportunity to recall and emphasise the national nature of the Museo del Prado through projects such as “On Tour around Spain”, consisting of the loan of particularly important works (one per autonomous region, including Ceuta and Melilla and with the sole exception of Madrid), which will last for a month; and an edition of the “Travelling Prado” exhibition programme which will pay tribute to the “People’s Museum” of the Republican “Pedagogic Missions” in the form of a travelling exhibition on Las Meninas installed on a vehicle. In addition to the Museum’s normal publishing activities, the Bicentenary will be marked by various initiatives: a new collection of publications with the overall title of “Bicentenary” which will focus on the history of the institution; a specially commissioned comic in which Vicent Josep Llobell Bisbal (“Sento”) recounts ten stories on the life of the Museum; and Anonymous Portraits, an anthology edited by Luis Alberto de Cuenca. During the commemoration of its Bicentenary the Museo del Prado will become a meeting point for museum world professionals, encouraging debate and exchange of experiences through conferences, international encounters and professional gatherings. This programme will aim to introduce the Prado to sectors of the public that have not generally participated in its activities, including prisoners, the visually impaired and those with mobility problems due to illness. In addition it will promote the “democratisation” of the Museum by encouraging the idea of sponsorship through small contributions which, when combined together, will allow for the acquisition of works of art. On 19 November 2017 the Prado will become the first Spanish museum and one of the first in the world to put all its documentary holdings on its website, thus making them accessible to the academic community. There will also be an increase in the number of initiatives aimed at conserving and restoring graphic, audio, bibliographic and documentary material in order to promote knowledge of the Prado’s history and the public will be encouraged to share their experiences of the Museum. The Bicentenary is providing an opportunity to organise activities focused on the Museum’s history and to publish new catalogues raisonnés: on Velázquez (by Javier Portús and Jaime García Máiquez), Luca Giordano (Andrés Úbeda), and David Teniers (Teresa Posada). In addition the Prado Chair will be directed by the writer Antonio Muñoz Molina, while a complete educational programme will focus on the Museum’s history and collections. This programme will focus on the relationship between ever increasing visitor numbers to museums and the quality of the experience, offering faster and better organised entry to the Museum (both the permanent collection and temporary exhibitions) and to the Bicentenary events. Providing effective, universally accessible information, both at first hand and digitally, is part of this initiative. This programme will focus on works inspired by the Museum’s collections. In addition, musicians active today will be invited to compose a work for the Museo del Prado in its Bicentenary year. There will also be a series of performances in and outside the Museum and link-ups with the major music programmers. During the Bicentenary the Museum will project various cycles of films inspired by the Prado and ones in which the Museum itself, its work and its artists have been the “cast”. The Friends of the Museo del Prado will be participating in the Bicentenary celebrations with the exhibition Twelve Photographers in the Museo del Prado. The award of the architectural project for the remodelling and refitting for museological purposes of the Hall of Realms means that building work can start. At the same time, the Museum will embark on planning the changes required to integrate this new structure into the “Prado Campus” in 2021.